Safety should be a priority when it comes to the use of lifting equipment and accessories. A load cell weighing system can help prevent significant or fatal injuries due to equipment failures. 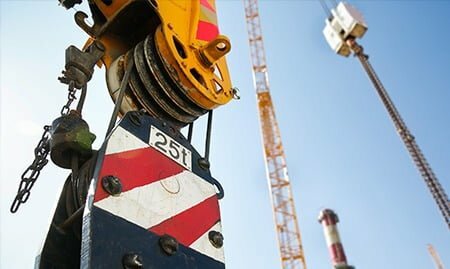 Safety and health regulations place a number of responsibilities on those controlling, providing, and using lifting equipment to lower the risks in the workplace. Companies need to regularly check and maintain all lifting equipment to ensure they are safe for use. Load measuring and testing are important to make sure that you have a safe working environment. One of the best methods to conduct load testing is through the load cell weighing system. It consists of a spring element where you can find the strain gauge. The spring element of a load cell is sturdy with minimal elasticity. It deforms under load but returns to its starting point with the removal of the weight. Strain gauges measure the small changes and analyse them electronically to determine the weight. Strain gauges are conductors attached to a film. When you pull the latter, the conductors get longer. When the film contracts, conductors become shorter. The change in the length affects the resistance of the conductors. Resistance increases with strain and reduces with contraction. When you suspend an object on a load cell, you can determine its weight. The direction of the load is towards the direction of gravity. However, there are load cells known as force sensors that can acquire loads in different directions. Single Point Load Cell – Placed beneath the platform and you apply the weight from the top. Compressive Force Load Cells – High-capacity load cells placed under a structure and the weight is placed from the top. Bending Beam Load Cells – Load cells placed below a structure with the weight applied from the top. Tensile Load Cells – Weight measured by suspending load from a load cell. Other factors that determine the load cell price include materials used and their design. A load cell weighing system might need a specific feature. For instance, a system might require load cells that can withstand a certain type of stress. Some load cells are more expensive because they have built-in electronics that process the measurements. Analogue load cells require a measuring amplifier for load measuring and testing. Accuracy is an important factor in the load cell weighing system. Load cells have different maximum capacities and accuracy classes. Strain gauge load cells containing electronic corrections provide readings that are more accurate. Load measuring and testing require accurate readings to ensure their safety in the workplace. You should calibrate it before and after installation at the location. Calibration involves using known weights. All About Lifting & Safety use precise load cells in our load measuring and testing process. To get accurate results, contact us today. We can schedule an inspection of your site and help you with your testing requirements and advice on load cell price.